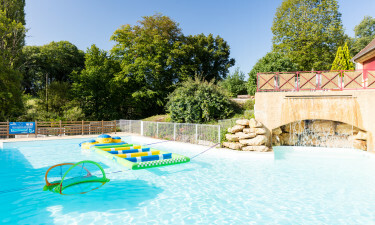 This holiday camping site is found within the picturesque region of Dordogne in France. Offering luxury camping at unbeatable value, please consult with Lux-Camp to learn more. We know all about camping Le Val D'Ussel! This holiday camping site is found within the picturesque region of Aquitaine in France. Offering luxury camping at unbeatable value, please consult with Lux-Camp to learn more. Of course, this is only a brief synopsis of some of the amenities that are offered when choosing Le Val D'Ussel. To learn more or should you have additional questions, please feel free to speak with a representative at Lux-Camp. Why choose Le Val D'Ussel for your next holiday? Below you will be able to read more about the reasons why you should choose to go on holiday to Le Val D'Ussel. A proximity to pristine forests and picturesque countrysides. Numerous activities specifically designed for children. Entertainment options such as television and game rooms. Le Val D'Ussel is known for its ability to provide numerous types of entertainment throughout the year. Guests can enjoy tennis, miniature golf and bicycle hiring services. All of these are found within this holiday camping site. 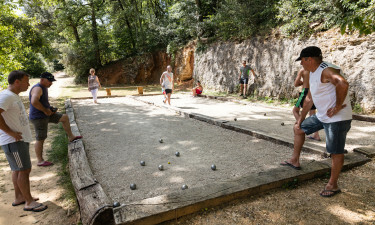 Hiking through a nearby forest will allow visitors to catch rare glimpses of the local wildlife and for those who wish to stay closer to home, table tennis is a welcome option. Le Val D'Ussel provides its visitors with all of the conveniences that they have become accustomed to for their camping holiday. Washing machines and tumble drivers can be accessed while on-site power supplies and wireless Internet are included (additional charges apply for this service). A standalone Internet terminal is also available. This sensation of camping luxury is heightened due to the presence of a large water park. This consists of an open-air pool with a spectacular view of a nearby lake (guests can also choose to swim in this lake). Water-related attractions include a paddling pool, an aqua gym and even races organised by the staff. 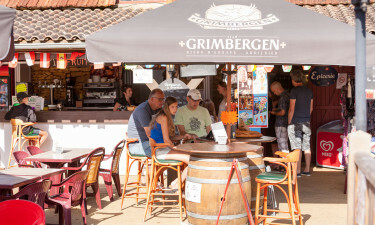 Le Val D'Ussel offers its guests a small grocery store that is found in the camp itself. There is also a nearby bakery that produces fresh bread and other select pastries. Please note that the opening hours of these locations may vary depending upon the season. Dining out is likewise a possibility when visiting this luxury camping site. There is a single restaurant to be enjoyed while a bar is found directly behind this eatery. Both local and international menus as well as those designed for children can be encountered here. The restaurant boasts an outdoor terrace that will provide splendid views of the surrounding environs.